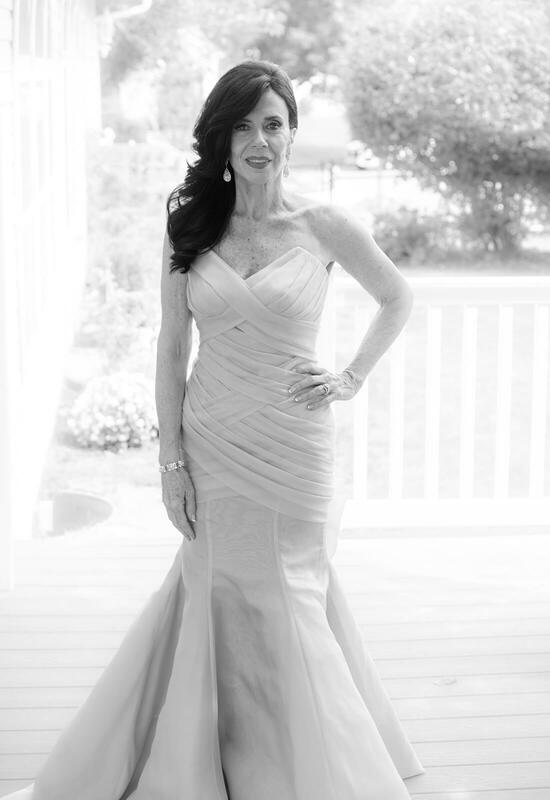 Ally McGown had not one, but two ultra-fabulous and stunning gowns to wear on her special day. 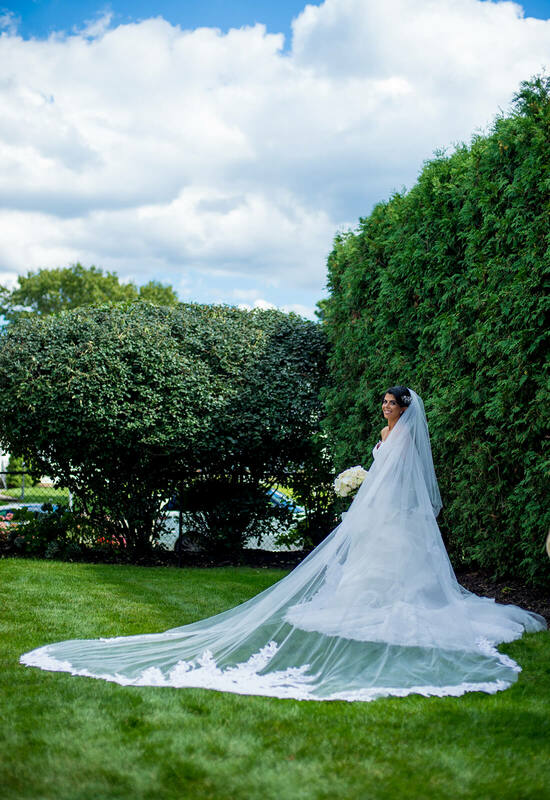 A romantic drop-waisted ball gown with voluminous ruffles for her wedding gown and a jaw-dropping satin mermaid gown with bling galore for her reception gown. As any style maven knows though, the look is not complete without the proper accessories. 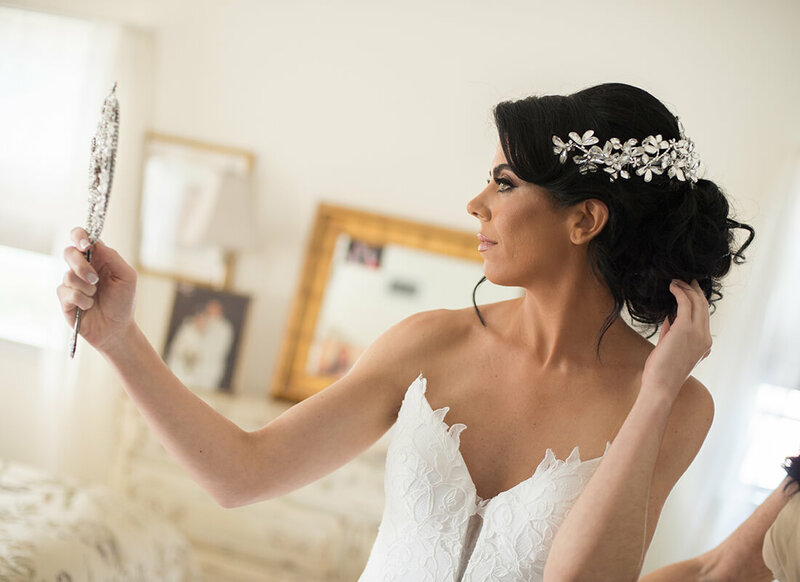 With two custom Pnina Tornai gowns already designed and ready to go for her wedding day, it comes as no surprise that Ally had a few more custom pieces to add glam to her old world wedding. With her full long black hair, Ally would need a sizeable headpiece for it to stand out. Since the first gown had a more elegant and regal feel to it, Ally decided to wear her hair up for the ceremony with curly tendrils around her face. Completely trusting in Pnina’s abilities, Ally left it completely up to Pnina to design the headpiece that she would wear for the first gown. Pnina designed for Ally an enormous crystal headpiece that shined so bright against her black hair you needed sunglasses if you were to look at it directly. 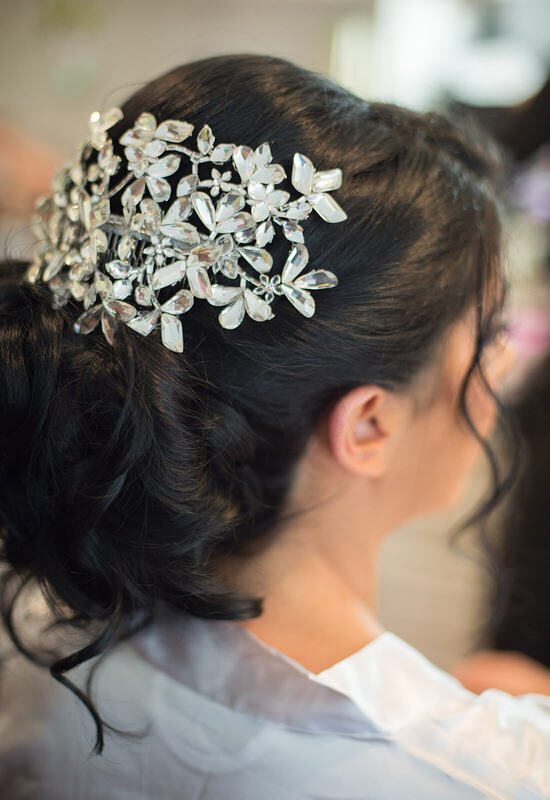 To go with the more relaxed and outgoing vibe of Ally’s reception dress, Ally decided to wear her hair down in cascading curls. 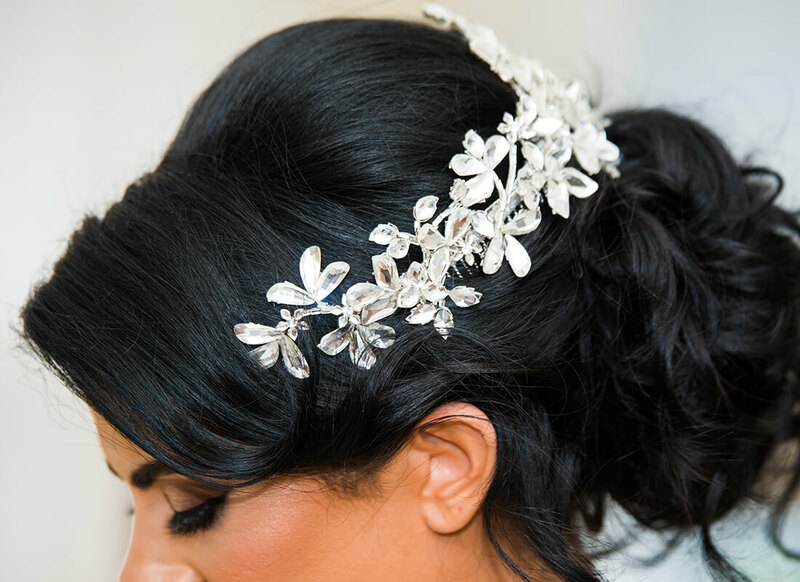 Acting as a glamorous headpiece and keeping her gorgeous curls in place were two shining crystal combs that were pushed together. 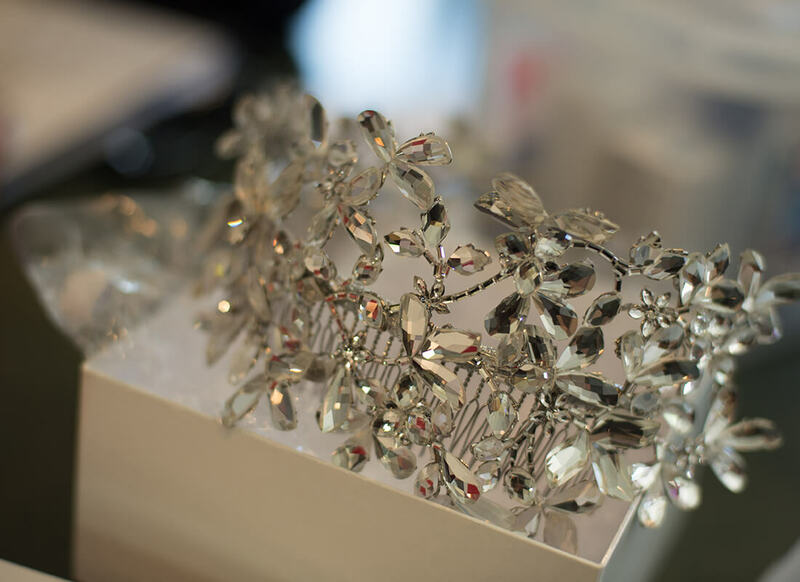 Fun fact: the same crystals used to make Ally's show-stopping gown were used to make the combs in her hair! I think it's safe to say that Ally definitely achieved the hollywood glam look she desired for her wedding day. 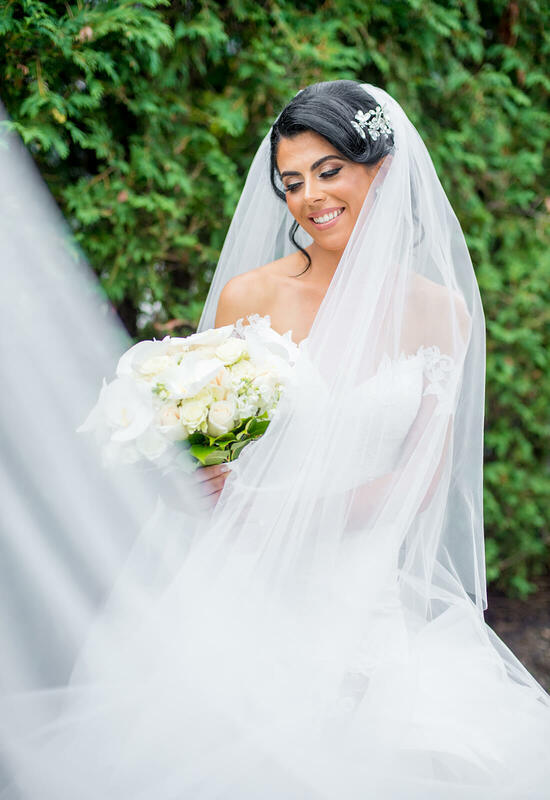 For the last touches of custom Pnina magic, Pnina Tornai also designed the gown for Ally's mother and flower girl. 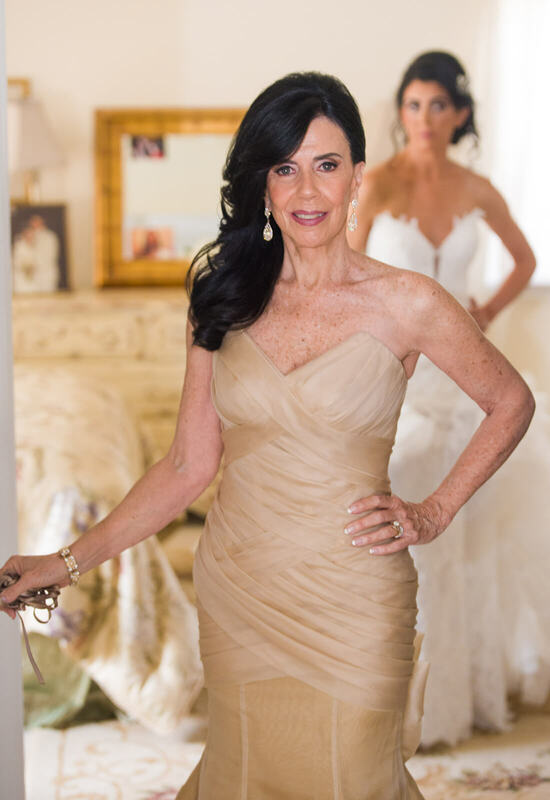 Ally's mother donned an exquisite champagne gown with the same cat-eye neckline as Ally's gown, flattering ruching, and of course a signature Pnina Tornai bow on the back. 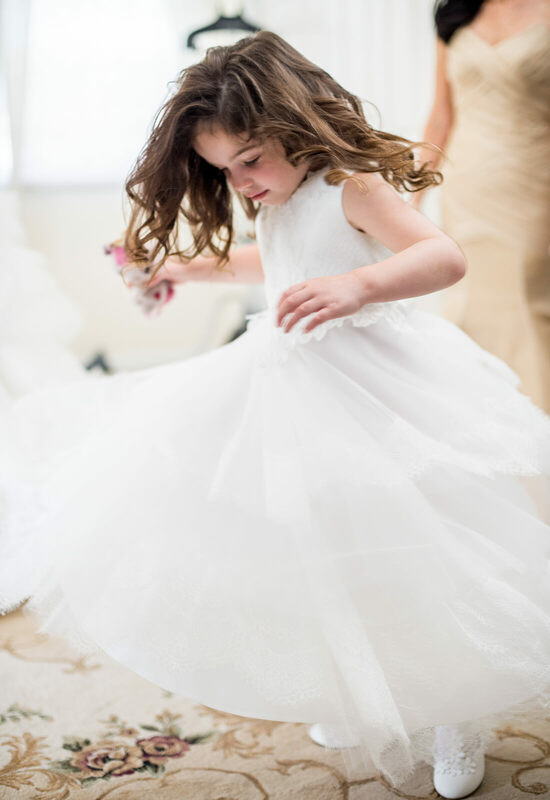 Madison, the flower girl, had a sweeter essence, wearing a gown that was made of the same lace as Ally's wedding gown. 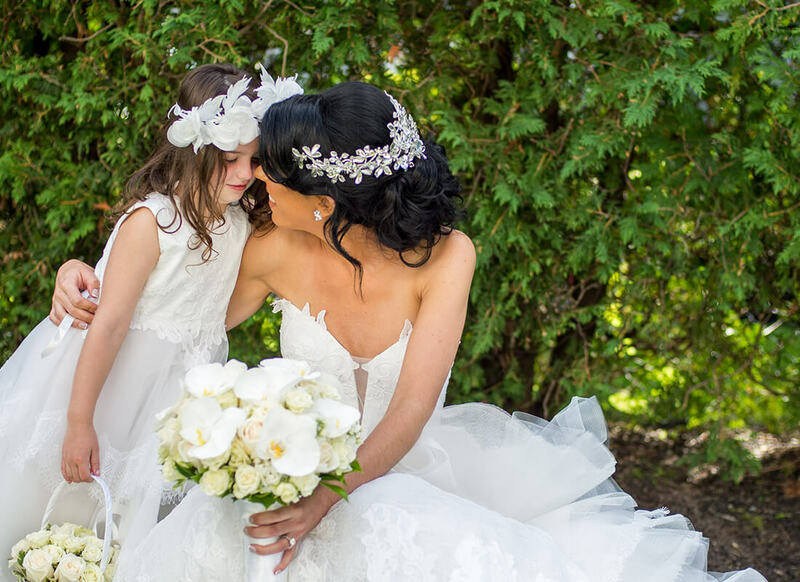 Ally's mom “wowed' while the flower girl “awwed” in their custom creations. 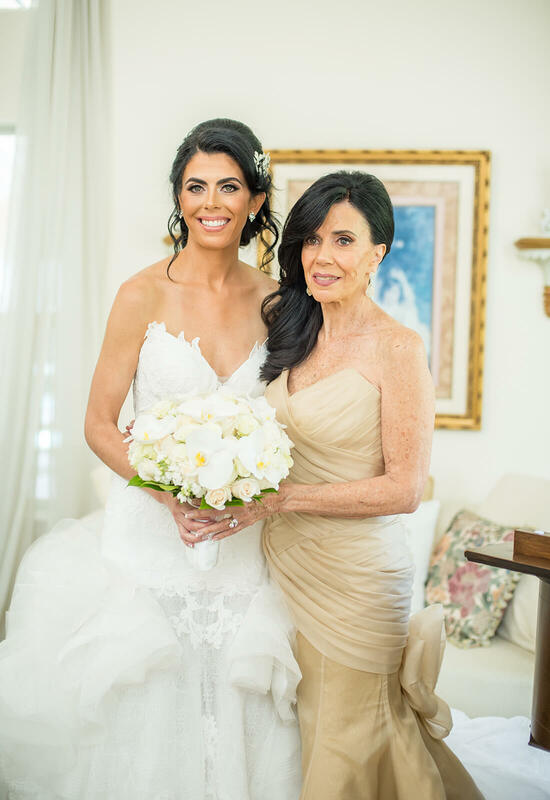 From the bridesmaids in black with their retro chokers to the stunning venues of their ceremony and reception, everyone was swept up in old world granduer while celebrating the love shared between Ally and Jason. 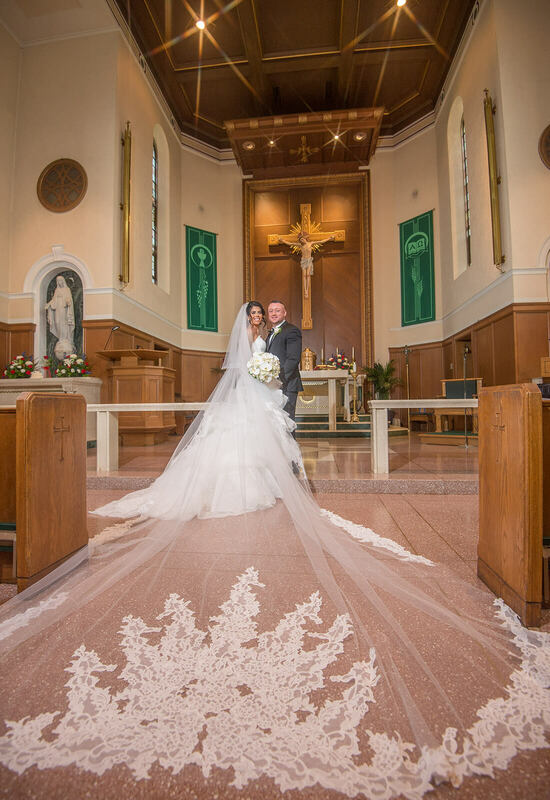 Transported back to a time of extravagant elegance, it was easy to see why this style captivated the now newlyweds. Everything that day was exquisite: the fashion, the good times, and most importantly, the love.